GAZA CITY, Gaza Strip (AP) — Palestinian militants fired an anti-tank missile at an Israeli jeep patrolling the border with Gaza and the Israelis fired back into the Palestinian territory, killing four civilians, officials and witnesses said. 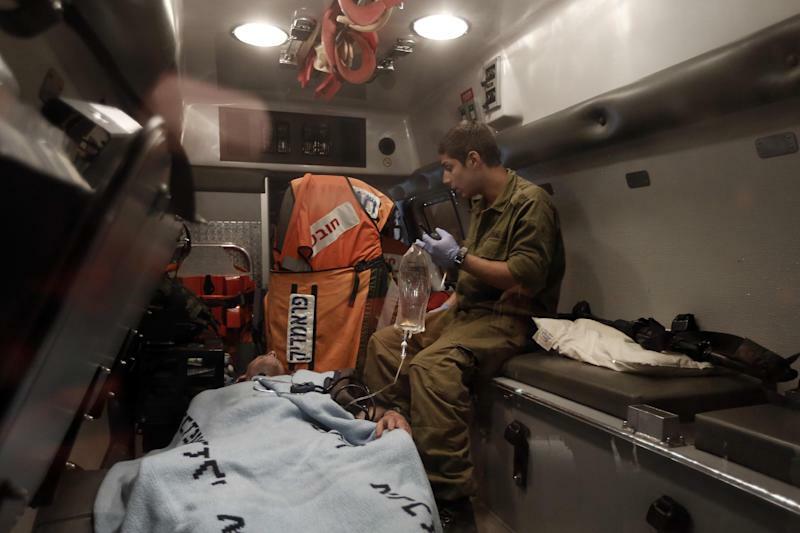 Israel's military said four of its soldiers were wounded in the missile attack, one of them seriously. Ashraf al-Kidra, a Gaza health ministry spokesman, said all four Palestinians killed were civilians between the ages of 16 and 18 and that among the 25 wounded were some children. The military wing of the leftist Popular Front for the Liberation of Palestine took responsibility but it still remains unclear who in fact was behind the attack. The PFLP often takes credit for attacks that later turn out to be the work of Hamas or Islamic Jihad militants. Gaza militants often fire rockets from the Israel-Gaza border area toward nearby Israeli communities and low-level clashes with the Israeli military are common. But when casualties are involved, particularly civilians, the potential for escalation grows significantly. Both sides threatened retaliation, and previous such incidents have unfolded into days of Palestinian rocket attacks and retaliatory Israeli strikes. Later Saturday, some 25 Palestinian rockets rained on southern Israel, though they caused no injuries or damage, the military said. It said at least one of the projectiles was intercepted by the "Iron Dome" missile defense system. The military informed residents to stay close to home in case of further rocket attacks. 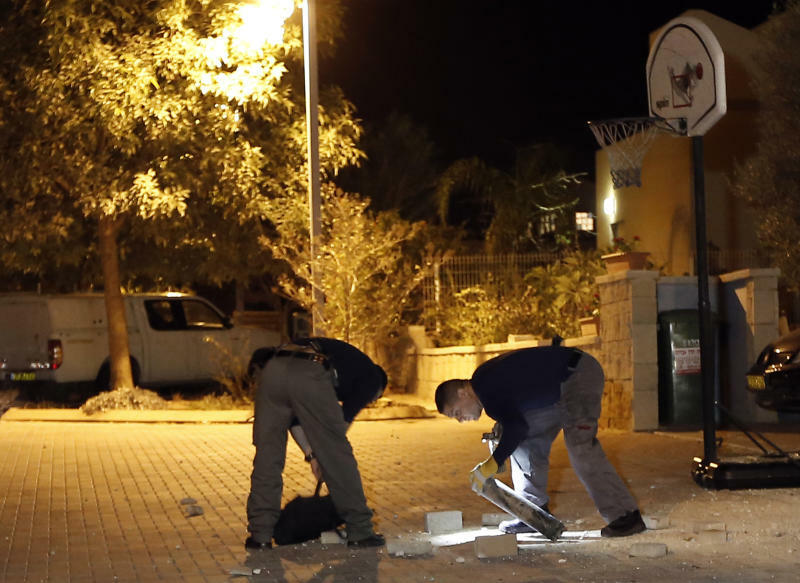 Palestinian officials said that an Israeli airstrike later killed one Islamic Jihad militant and wounded two others as they were attempting to fire rockets toward Israel. The Israeli military confirmed the strike. Witnesses said that following the large explosion that started the incident, Israel retaliated to the attack on the jeep with tank and machine gun fire toward residential areas at the al-Muntar hill in the central part of the territory, hitting people who were returning from a funeral east of Gaza City. Rami Harra said his 17-year-old brother Muhammad Harra was killed in the strike. "He was at home when the explosion took place. He went out to see what happened and when he started to help evacuating wounded people who were on the ground another shell hit the place and killed him," he said outside the morgue. "Why did they kill him? I can't believe my eyes that I am seeing his dead body." In a first response to Saturday's incident, Israeli Defense Minister Ehud Barak said the military had responded aggressively to the attack and will "consider further reaction in the coming days." "We will not allow the escalation on the fence to go unanswered," he said. The Israeli military said it holds Gaza's Hamas rulers responsible for the attack and that it "will not tolerate" such incidents. In a text message to reporters, Hamas spokesman Fawzi Barhoum threatened to respond. "Targeting civilians is a dangerous escalation that cannot be tolerated. The resistance has the full right to respond to the Israeli crimes," he said. Israel carried out a broad military offensive in Gaza nearly four years ago in response to years of near daily rocket fire. 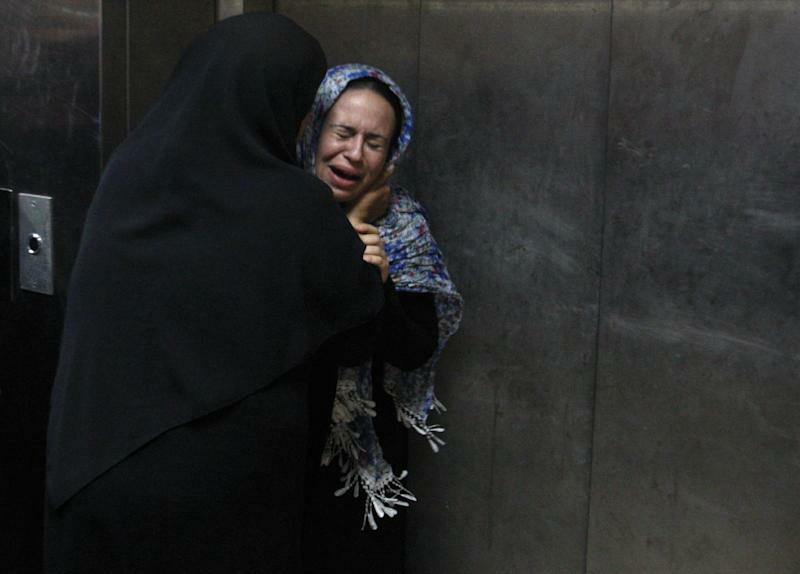 Major salvos from Gaza have subsided since then, but sporadic rocket fire has continued. Gaza's Islamist Hamas rulers have largely refrained from rocket attacks since the devastating Israeli military offensive that killed hundreds of Palestinians. Hamas, which has killed hundreds of Israelis in suicide bombings and other attacks, remains virulently anti-Israel in its rhetoric but has sought to keep things quiet as it consolidates control of Gaza, which it seized five years ago during a brief civil war against the rival Fatah movement.